Catherine West has spent her entire life surrounded by beautiful things. She owns an immaculate Manhattan apartment, she collects fine art, she buys exquisite handbags and clothing, and she constantly redecorates her home. And yet, despite all this, she still feels empty. She sees her personal trainer, she gets weekly massages, and occasionally she visits her mother and sister on the Upper East Side, but after two broken engagements and boyfriends who wanted only her money, she is haunted by the fear that she’ll never have a family of her own. One night, at an art opening, Catherine meets William Stockton, a handsome man who shares her impeccable taste and love of beauty. He is educated, elegant, and even has a personal connection—his parents and Catherine’s parents were friends years ago. 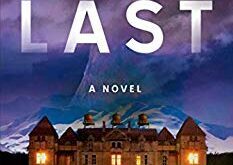 But as he and Catherine grow closer, she begins to encounter strange signs, and her mother, Elizabeth (now suffering from Alzheimer’s), seems to have only bad memories of William as a boy. In Elizabeth’s old diary she finds an unnerving letter from a former nanny that cryptically reads: “We cannot trust anyone…” Is William lying about his past? And if so, is Catherine willing to sacrifice their beautiful life in order to find the truth? 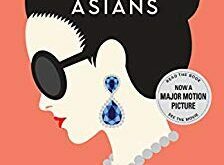 Featuring a fascinating heroine who longs for answers but is blinded by her own privilege, We Could Be Beautiful is a glittering, seductive, utterly surprising story of love, money, greed, and family. 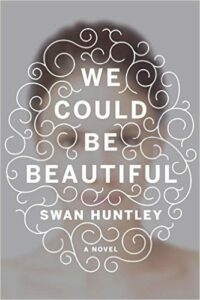 We Could Be Beautiful by Swan Huntley is a startling debut about Manhattan elitist Catherine West who spends her days shopping and visiting spas and very little time doing much else. She long for lasting love and a family of her. Instead, she has her distant and younger sister and a mother suffering from Alzheimer’s. Her fate changes when she meets the handsome William Stockton. 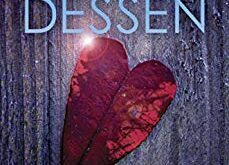 Huntley puts the story through the quick paces of Catherine and William’s relationship, hurtling readers towards a shocking end that you don’t see coming. If I’m being honest, I didn’t like any of the characters in this story. Catherine and her sister–despite their wealth–spend a lot of time whining about the unfairness of life. Having grown up rich and spoiled, they’re completely out of touch with reality. Even once William enters the picture and attempts to bring some balance to Catherine’s live, she still can’t seem to see beyond her wealth. The twist ending actually brings a sense of humanity to the characters. Suddenly, they’re not the rich socialites you love to hate, but real people facing a real crisis. You almost pity them their riches and begin appreciate the simplicity of your own live. Bottom line: Money does not buy happiness nor does it guarantee an easy ride through life. The love of money is truly the root of all evil. Swan Huntley’s writing is beautiful; her prose at times can be just as beautiful as staring at a painting. I look forward to more from this author. I give We could Be Beautiful 4 out of 5 stars. We Could Be Beautiful by Swan Huntley is available on Amazon and Barnes and Noble. Also make sure to add it to your To Reads list on Goodreads and leave your feedback for the author when you are finished.